Oh no! That looks painful. Hope all better now. Still a nasty mark but she is getting there thank you! I have the same pic of Olive this week!! And a similar one of Megan but her’s was pouring with blood and needed stitches!! Children argh … door frame?? Oh no, that looks like a big ol' owie :-( I hope not too many tears were shed. Thank you, the lump has gone now, just been left with a graze! oh dear, what happened there? A trip into a door frame I am afraid! ooo that does look sore. 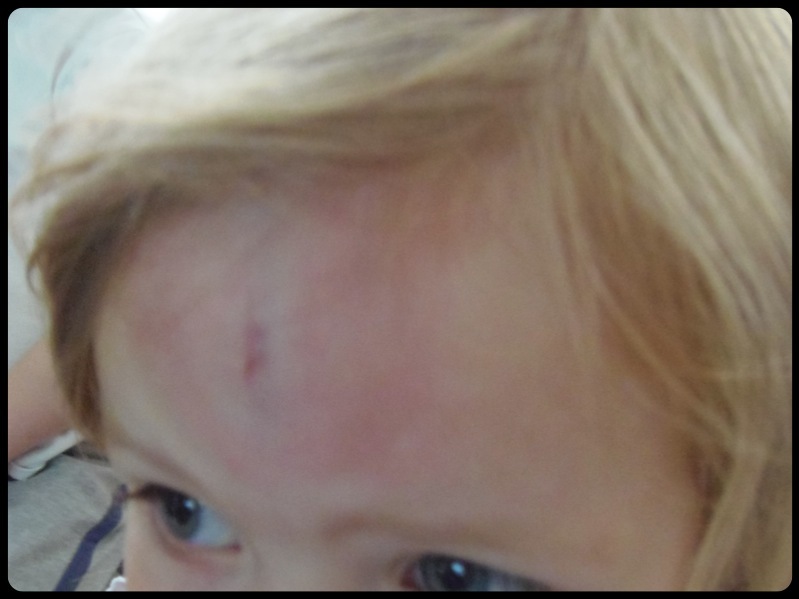 Bumps on the head always look much nastier than grazed knees, don’t they?! YEp, it’s the lumps that come up I think, all lump no blood!